At Who What Wear UK, we always strive to tell you about the next big trend before it's become a thing yet so you are able to buy the new cult products before they sell out. That's why we set up Microtrend Monday, your weekly alert to let you know the items or styling tricks that are suddenly taking off. Last week I bought an H&M shirt in a dark indigo wash—heavy denim with a tie belt at the waist. 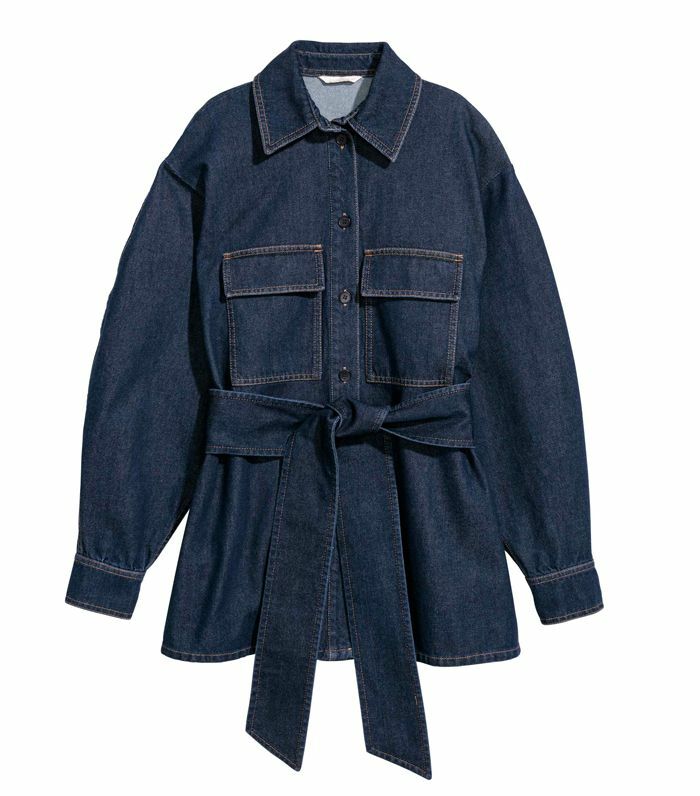 But it wasn't until I then added four other belted denim pieces to various shopping baskets that I twigged that this is a micro-trend that's gaining momentum—one you need to know about too. This detail is all over skirts, jeans or shirts, but the one thing these pieces all have in common is that they come in a dark or indigo wash.
Below are the five things I added to my wish list, including an amazing Mango jumpsuit and the perfect cropped straight-leg jeans from Nanushka. Last year, denim trends were a little out-there with brightly coloured washes and pearl embellishments, but this trend shows how it's going back to a focus on grown-up, flattering styles rather than Instagram hits. Keep scrolling to shop the five belted denim pieces I'm loving this week.